Hummingbird don't fly away, fly away. Hummingbird don't fly away, fly away. The sweetness of your nectar has drawn me like a fly. I just love you, love you, love you. I don't even know the reason why. I like hummingbirds. It’s a treat when we are at the mountain house to get to see them cluster around the feeder. The feeder hadn’t been up long, so there weren’t too many this time. Just three or four that battled the bees and wasps to get to the sugar water. But now they know it’s there, they will be back, and bring friends! Imagine my surprise when I was on my deck at home the other day and something buzzed my head! I thought it was the biggest mosquito ever and I’d better take cover! I watched for a minute and there it was. 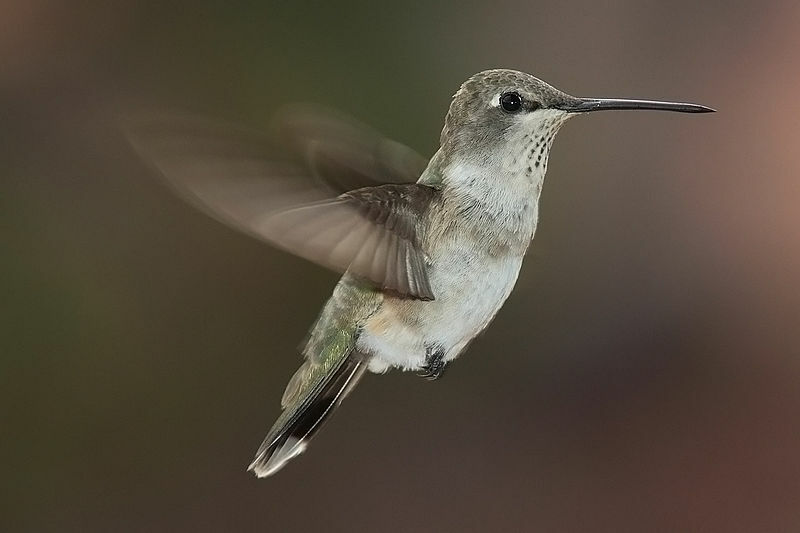 A hummingbird! 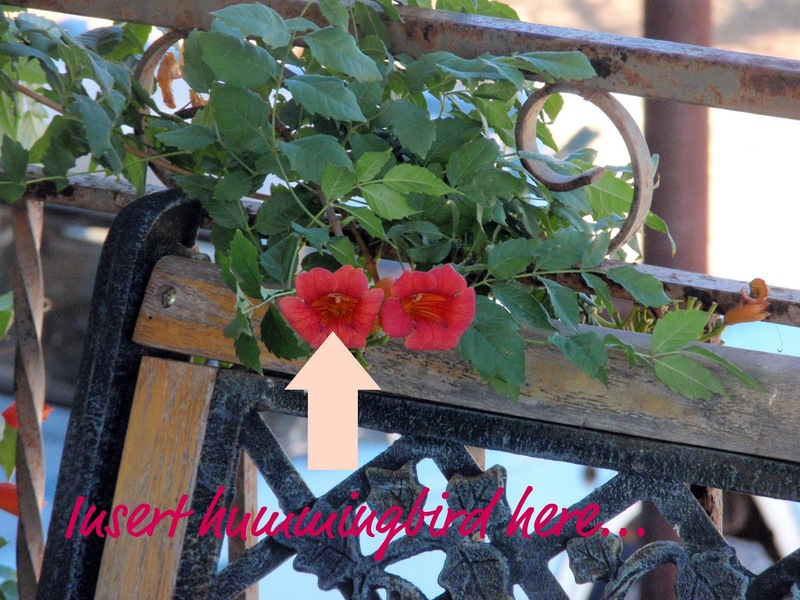 She, because she wasn’t bright and pretty, was getting nectar from the blooming trumpet vine. I couldn’t believe it! I ran to get the camera and you guessed it, she was gone. I didn’t even know we had them out here in the desert. The next morning I was ready. I waited outside because I was determined to get a picture. No such luck. This little bird was camera shy! As soon as I got ready away she flew! Darn. That's where it was before the camera was ready. I didn’t think much about it until the other day I when I went out around noon. BZZZZZZZ. There was another one! This one was a male, beautiful green and yellow colored. Don’t you think Mother Nature has it backwards? The female should be the pretty one! He buzzed some hanging things I had put up, he buzzed another colored string of turtles in the corner, and then he went to the trumpet vine. Soon he was joined by two more, both dull females, and I ran to get the camera. Alas, they sensed it and again, left as soon as I got the camera positioned. There were three then there were none! I do know why the females are dull colored. It’s to protect them while they nest. They blend in instead of sticking out and trying to take center stage. They usually only lay about two eggs and after they lay they become single bird parents and don’t need the male around. Hey, maybe Mother Nature had it right after all! That male bird is gonna need something catchy to snag another friend! I did manage to get some pictures of the birds at the feeder at the mountain house. Not good, mind you, but you can see a little black dot that IS a hummingbird! Maybe I need a better camera! My friend Lydia has a cabin in East Texas. 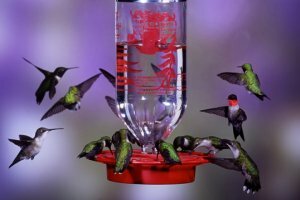 She’s recently posted a video of the hummingbirds at her feeder. You should check it out. It’s awesome! That is if you like hummingbirds! Not Lydia's. It's what I wish a feeder here looked like! I’m having serious knock you out stress here so I have been trying to keep busy, so I’ve been crocheting and knitting. While sorting and trying to store some yarn I happened across the ugliest yarn ever, black and orange striped, which would be great if you were a Bengals fan, or lived in the rival town about twenty miles away. But I was neither and really am not sure why I got it. Anyway, I’m turning it into a small Halloween blanket for the Littles. It’s ugly, but hey, it’s Halloween! I also blocked…yes, really, and actually finished a shawl. It’s little, and I’m not sure I like it although I really liked the yarn when I made it. But that’s the beauty of knit and crochet. If you don’t like it you just rip it out! Front. A little dark on the color. I also started another of the magic granny square jackets, this on lighter and in a more subdued color. I think I am truly ADHD! Come to think of it though, the shawl colors remind me of hummingbirds. Small enough to become a scarf! In you I've found a fragrance. I'll love you 'til I die. love! your shawl is wonderful!!! can't wait to see your next granny vest...how much yarn does it take? Wow! Lots of action in this post. The hummingbird pics you eventually got are great, I particularly love the last one of him coming in to land. 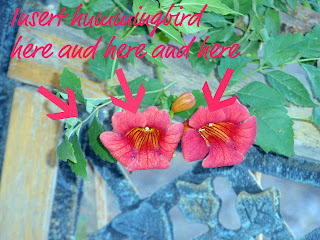 :) I've never seen a hummingbird in action before, I think they'd drop dead of the cold over here! I adore your finished shawl, it turned out great, and your hallowe'en blanket is perfect. Black & orange are perfect for the holiday. Love that shawl. I think I've made that pattern too & Mother gets lots of compliments on it.